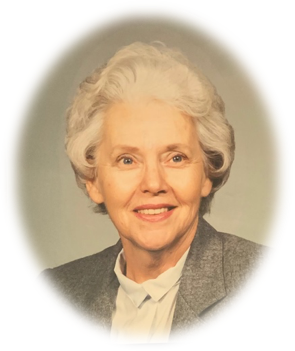 Shirley Jean Sands, age 86 of Harriman, went to be with her Lord on Sunday, March 24, 2019. She was born November 1, 1933 in Mt. Sterling, Kentucky. Shirley was a sweet spirit, sister, mother, grandmother and friend who loved and was loved by all who she crossed paths with. She was a longtime member of First Christian Church of Harriman and she loved her church family greatly and enjoyed her volunteer work at the church. She retired from the Biology department at the Martin Marietta facility in Oak Ridge. She loved working in her garden and had no greater pleasure than plucking off a tomato or two and eating it as she worked in her vegetable & flower gardens. There are not enough words to describe how wonderful this lady was. Preceded in death by her husband, Waller Lynn Sands, parents, Joe & Ethel Faulkner Prewitt; son, Sanford Sands; brother, Dan Prewitt; sisters, Jo Ann Jones, Juanita Hardin and many other family, friends and canines. Many other nieces, nephews, special friends & loved ones. She also leaves behind three special doggies, Lucy, Daisy and Dexter who always shadowed her. Memorial service will be held at a later date. Anyone wishing to send a memorial gift may send to the First Christian Church in Harriman, TN. Online register book can be signed at www.Frakerfuneralhome.net. Fraker Funeral Home of Kingston in charge of the arrangements.